Some of the newest product introductions to food culture are those with a sustainability story that centers on creating a second life for formerly wasted ingredients. Snack brand Barnana uses imperfect bananas previously left to spoil to create chewy banana bites and crispy banana brittle. ReGrained is making snack bars out of the nutritious “spent” grain that usually goes to waste after the beer-brewing process. Perhaps lesser known but with an equally compelling narrative is the entrance of “Coffee Flour” to the food industry — an emerging branded ingredient we both sampled and learned about recently in an interview with Coffee Flour head of marketing Carole Widmayer. To learn more about Coffee Flour and what it’s like introducing a new ingredient to the market, here’s our interview with Carole Widmayer. (Hartbeat) Coffee Flour is a fascinating ingredient and, because of its sustainability and nutrition profile, resembles some of the superfood ingredients we’ve seen come onto the market over the years. And yet like with any new ingredient, we know you face challenges when it comes to building demand. Do you have any analogies that you can think of that might be similar in terms of superfood introductions — I’m thinking of something like açaí berries? Carole (CW): The easiest ingredient to align to would be coconut flour. It's a high-fiber flour, and it's a darling of some of the diet trends. With coconut flour, you have to adjust recipes for consumer bakers because it's a little bit harder to use. But compared to the lack of awareness for what Coffee Flour is, the benefit for coconut flour coming into the marketplace was that consumers already knew what coconuts are. 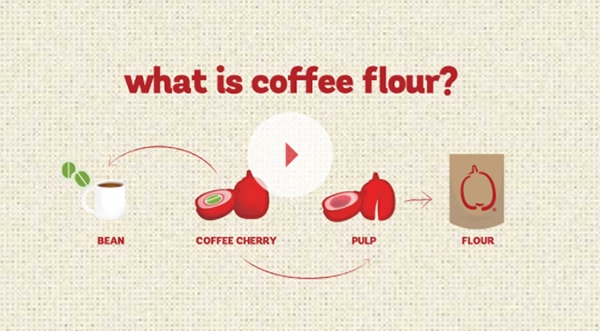 The majority of consumers still don't necessarily know about coffee cherry or Coffee Flour, although we're doing everything we can to try to expand people's awareness of it. It's an education process. In many ways, we also resemble buckwheat flour, which is also a fruit powder. But the difference is that coconut and buckwheat flour each have kind of singular nutritional benefits. For example, coconut flour is really high in fiber, but it doesn't have the antioxidants, potassium, vitamin A or iron that Coffee Flour has. And it’s not a sustainable product in the same way as Coffee Flour since it's not coming from the coconut shell, it's coming from the meat. It's the same with buckwheat. So while each of those other ingredients have properties that are benefits, none of them have the combination of nutritional benefits that we do, along with the sustainability story. We are a fully upcycled product. To that point about building awareness — we see that Coffee Flour is being used as a branded ingredient in CPG products like bread (Alvarado Street Bakery, Sprouted Wheat and Coffee Flour), energy bars (ReGrained, Chocolate Coffee Stout Bar) and chocolate (Seattle Chocolates). Are there are other examples of building awareness? CW: Starbucks had a “cascara latte” which helped to educate the average consumer about what a coffee cherry is, since that was big piece of their marketing. Otherwise, despite the fact that we are not targeting consumer purchase of Coffee Flour directly, there are a couple of online retailers that have sold it, and Sprouts grocery stores had it in their bulk bin. Trader Joe's had it as a limited-time offer just under a year ago as well. But that is not our primary pursuit. We really are trying to make a difference in the B-to-B ingredient market. Because frankly, for us to have the impact that we would like at origin, to keep as much of this product out of landfills, to create as much economic resilience as we can with farmers and with the coffee mills, we need to utilize large volumes. Thus, the B-to-B market really is our focus. 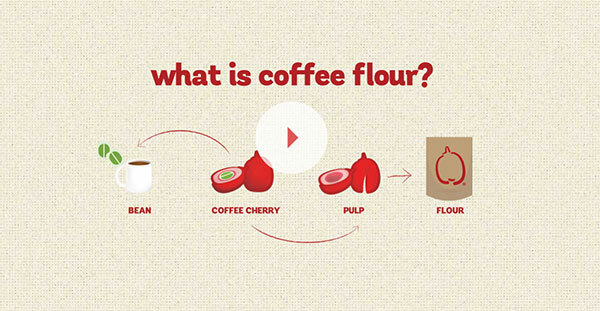 So you’re developing Coffee Flour as a branded ingredient? CW: Yes, we believe that with our sustainability story we have the ability to be a meaningful branded ingredient. We’re working to bring our sustainability story out and help buyers understand how that benefits them, whether it's as a company or whether it’s taking it all the way down to the consumer. We can craft what that story and impact is and how by using Coffee Flour, what it can mean to them. It depends on what their needs are. Again, you look at Millennial consumers and even Gen Z, and you hear consistent analysis that these consumers are making purchase decisions based not just on what the product is and the product quality but what that product and that brand stand for. What product categories or industry segments would you like to be more involved in next? CW: We believe there is real potential in seeing expanded use of Coffee Flour and coffee cherry ingredients in baking, confectionaries and beverages. We would also love to be more active in food service. The more food service wants to use it, particularly the chains, be it on a national or regional level, the better. Again, the more we can work with manufacturers to provide them with a layered product, is great too. We're happy to work with R&D product-development teams. A big challenge is that we're a small company right now, and we find that we need to stay focused. We have to succeed in one area before we can grow in all of these other segments in the way that we would like.